Love Space? Interstellar is a great addition to your pup's wardrobe. Spaceships, Astronauts, and Planets make up this cool fleece pajama. Trimmed in light blue and Olive color fleece. 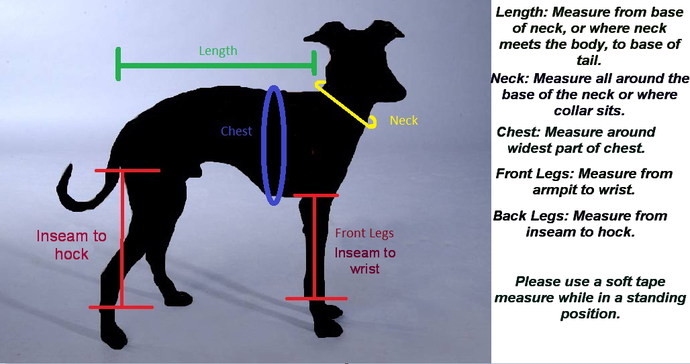 Small: Neck 10", Chest measures 18", Length from base of neck to base of tail: 13"
Medium: Neck 12", Chest measures 20", Length from base of neck to base of tail: 15"
Large: Neck 13", Chest measures 22", Length from base of neck to base of tail: 17"
Extra Large: Neck 14", Chest measures 24", Length from base of neck to base of tail: 19"
Please allow a minimum of 2 weeks for your item to ship. All items, except for Ready to Ship items, are handmade after an order is placed. I do not have items in stock. During the holidays, processing time can be up to 4 weeks before your item ships. If you have any questions, please feel free to send me a convo. 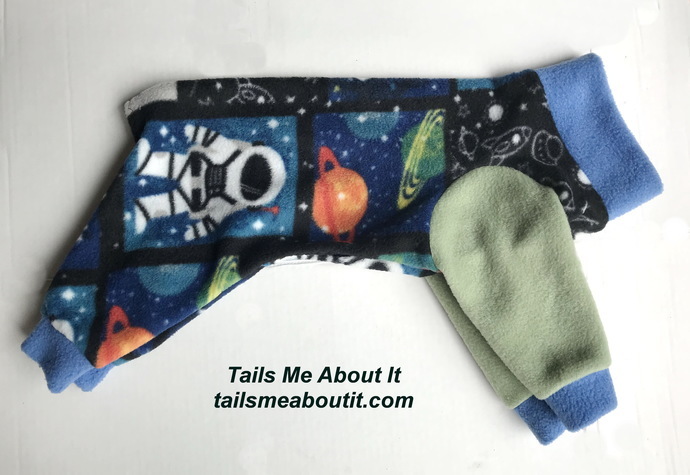 Welcome to Tails Me About It!